You are here: Home / Rangoli Competition organized during PRASHANTAM – 2018. / Activities / Rangoli Competition organized during PRASHANTAM – 2018. 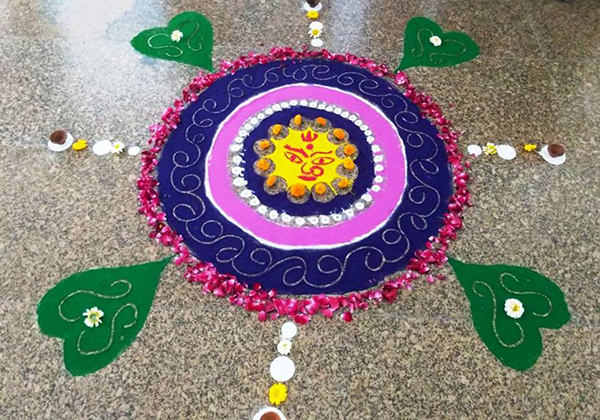 Rangoli Competition organized during PRASHANTAM – 2018. 1) 1st Prize:- Raghav Verma and Darpan Bhardwaj ( Computer Science Engineering). 2) 2nd Prize:- Bandana Atri and Devinder Thakur (Civil Engineering). 3) 3rd Prize:- Jeenal Pagaria and Chirag Jain( Computer Science Engineering).